Hey guys! It's been a LONG time since I last shared a DIY post and thought today would be a perfect day to share one. I've been holding on to this one since last year and although most of the schools in the States are already on Summer Break, those of us in Canada still have kiddos in school until the end of June. 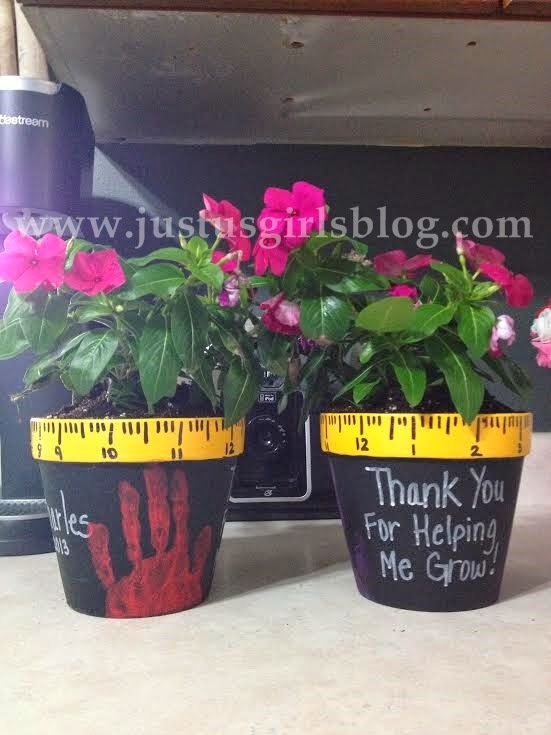 Today I thought I'd share with you a Thank You or Appreciation gift for your child's teacher. Throughout the years I have been really lucky getting teachers for both my kids that have not only been overly helpful, but also patient, kind and keeping me in the loop with how my kids have been doing in school. These are the type of teachers who need to be rewarded and it ony takes a little effort to let them know that we as parents appreciate everything they do for our kids. This year has been no different for the teacher's that my kids have had this year and I although I'm sharing with you what I made for my kid's teachers last year, I already have what I want to do for their teacher's this year and hope to share that with you all soon too. 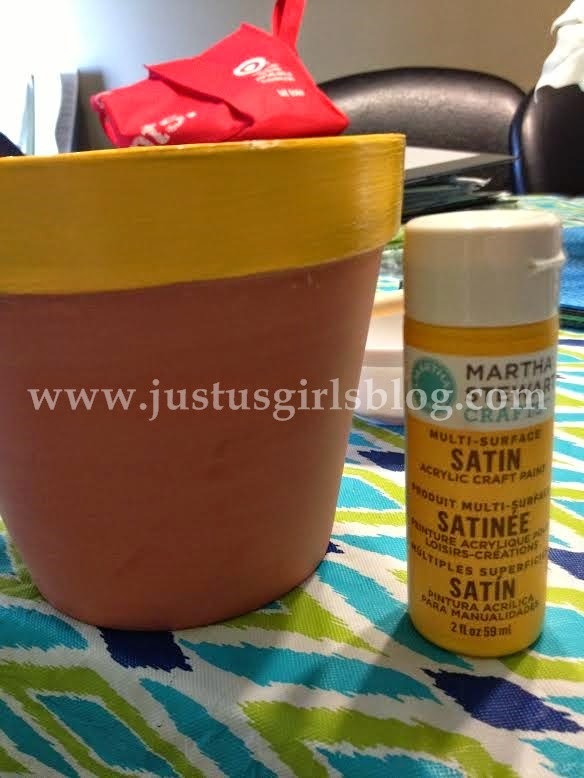 This is such an easy and fun project that's not expensive and very easy to do. I headed to my local dollar store. I picked up two clay pots that were only a buck. 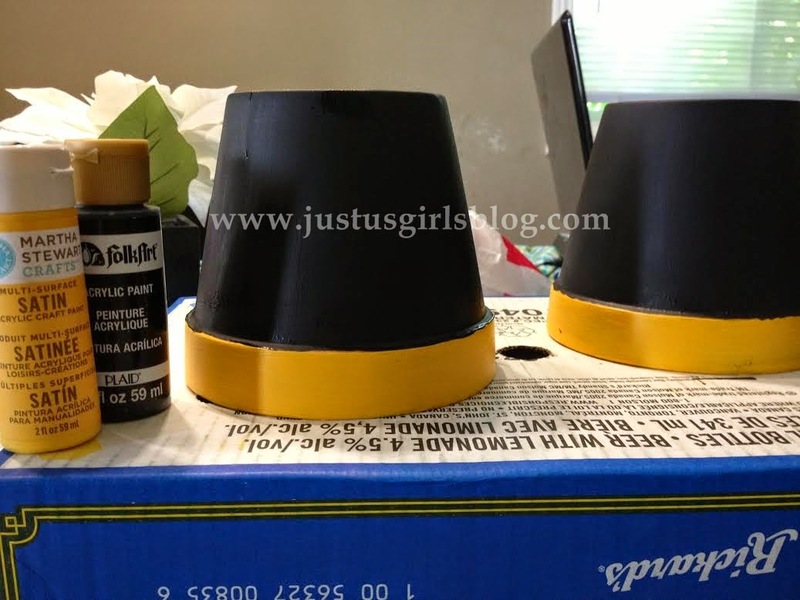 Along with the pots I also picked up yellow, black and red paint. Now you can definitely pick up some acrylic paint from your local dollar store to keep this under a $10 gift. I got a white paint marker and picked up a plant at my local Walmart. First thing I did was paint the rim yellow. Once that dried I then started painting the black on the bottom half of the pot. Once the pot was dry I then added lines and numbers on the rim to give it a ruler look using a black sharpie. 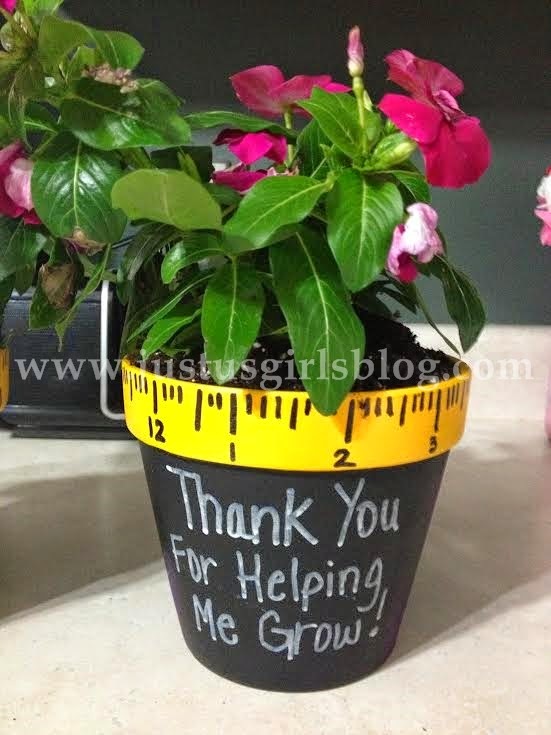 I then used a white paint marker to write: "Thanks For Helping Me Grow," on the black part of the pot. I also used red paint and painted my kids hands red and then pressed it on the sides of the pot that had no writing on it. Once that dried I wrote my child's name and the year they were in their teacher's class on the back of the pot using the white paint marker. Once that was dry I then added the plant and that's it. 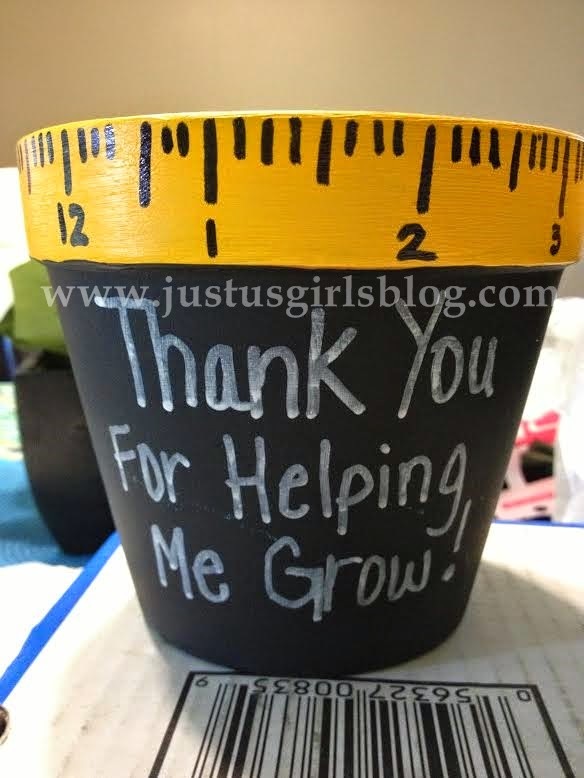 Very easy, simple and affordable teacher's gift for your little one's teacher just to let them know that they're hard work doesn't go unnoticed!